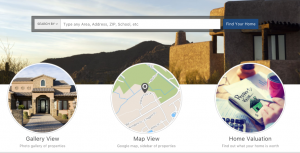 What’s happening in the Tucson Real Estate Market? Total Sales Volume of $300,150,958 is down from August’s number of $321,376,738, resulting in a 6.60% decrease, but a 9.01% increase over September 2016. The Average Sales Price of $247,649 is an increase of 3.72% from $238,764 last month. Average List Price of $252,916 is up 3.39% from August and up 15.17% since September 2016. Total Under Contract of 1,651 is an increase of 1.04% since last month. Total Unit Sales of 1,212 is a decrease of 9.96% since August’s number of 1,346. The Median Sales Price rose to $206,915 from $192,000 in August, a 7.77% increase and is up 16.90% from $177,000 in September 2016. New Listings are up 18.18% since August. Total Active Listings of 3,587 is an increase of 2.49% from 3,500 lastmonth. Average Days on Market decreased to 42 this month from 45 last month. Conventional loan sales of 45.8% exceeded Cash Sales of 21.6%.